In the bad old days, when an employee felt unfairly treated by their employer, they’d simply launch an employment tribunal claim. There was no fee and largely no risk to the employee. It was easy. Probably a bit too easy. Employers would have to incur time, cost and energy in defending the claim, irrespective of whether it had any merits. These days, employees can no longer do that. Instead, employees have to try to resolve their disputes via the ACAS Early Conciliation Scheme. The aim is to help to resolve a dispute as soon as possible without the need for employment tribunal proceedings. Instead of issuing tribunal proceedings, an aggrieved employee will now have to complete a form on the ACAS website. Within a couple of days, they will receive a call from ACAS, who will discuss the case with the employee. Details will be passed to an impartial conciliator who will liaise between the parties and try to find a solution. Prospective claimants will still be able to start legal proceedings but only after ACAS has issued a certificate saying that the parties have first tried to resolve the dispute via the conciliation scheme. Usually, tribunal claims must be started within 3 months. This is known as the limitation period. However, when a claim is submitted for ACAS conciliation, the clock stops. It only starts running again when ACAS issues the certificate confirming that the parties have attempted conciliation. This means that the limitation period will be 3 months plus the length of time it takes to conclude conciliation. 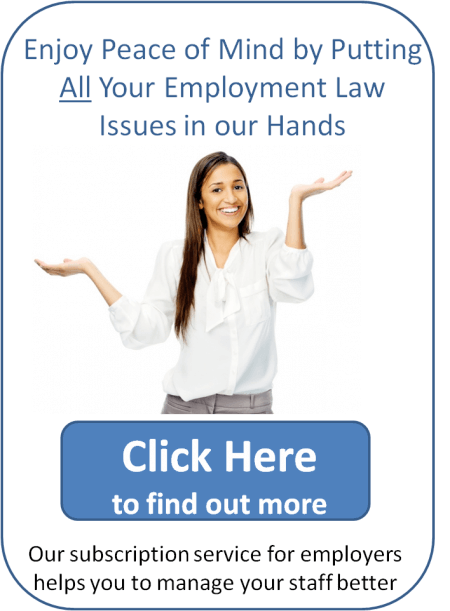 Many disputes will be resolved without the expense, anxiety and time that would be incurred in an Employment Tribunal. It’s confidential – provided it’s resolved, you will avoid the bad publicity that often accompanies a tribunal claim. Will you still need legal advice? The process is relatively straightforward. ACAS conciliators will help both sides to understand the legal framework and what they can expect if the case goes to a tribunal. However, ACAS won’t give legal advice. They won’t assess the case and advise on its merits. If you’re involved in an ACAS conciliation, you may want to speak to an employment law solicitor to help you to determine the risks to your business and to advise you on what level of settlement may be appropriate. Previous Entry: Can I Sack Someone If They’ve Been Employed For Under Two Years? Next Entry: Who is the Best Employment Solicitor to Give Legal Advice On Your Settlement Agreement?